Here’s our wisdom bit – a bite sized chunk of knowledge – for today! Sri Ganesha is the conqueror of obstacles. 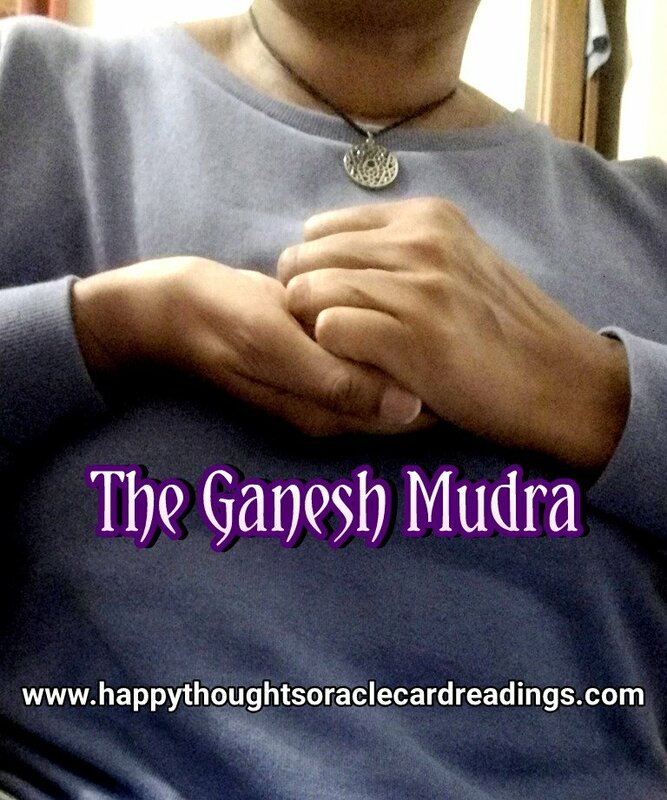 This Mudra is said to be good for opening the heart #chakra, and for boosting confidence, as well as releasing tension. It’s good to do it once a day. The left hand should be held in front of the chest with the palm facing outward. Bend the fingers and grab the left hand with the right hand with the palm facing inward. This entry was posted in Abundance, Fun, Seasonal, Inspirational, Motivational, Nuggets of Positivity, Uncategorized, wisdom bits and tagged achieving dreams, amazing life, beating stress, blog a week, confidence, Ganesha, lblogger, meditation, mindfulness, Mudra, new year, relaxation, self acceptance, self awareness, stefsvoice4u, yoga. Bookmark the permalink.